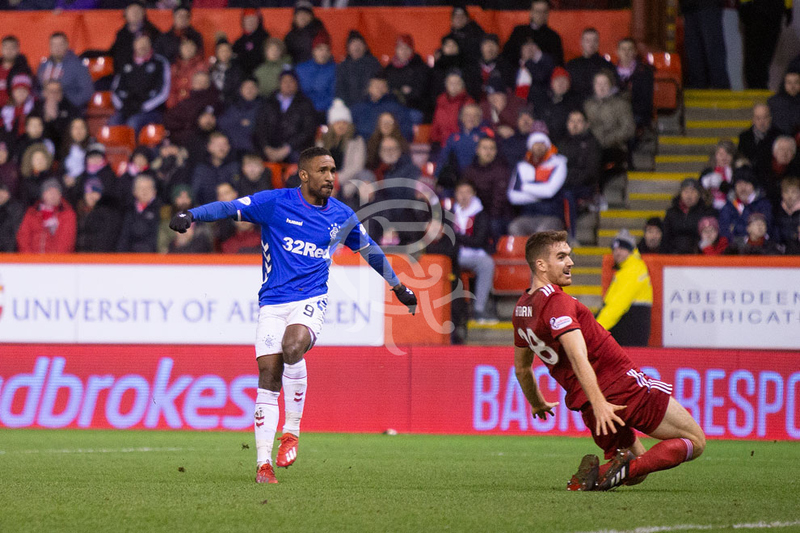 RANGERS hit 4 goals on 3 separate occasions and 5 twice throughout February, with some great efforts amongst them and voting is now open for our Goal of the Month competition. Read the reports below and cast your vote. A supporter who voted for the winning goal will have the chance to visit the Hummel Training Centre and attempt to recreate the goal with the winning player. 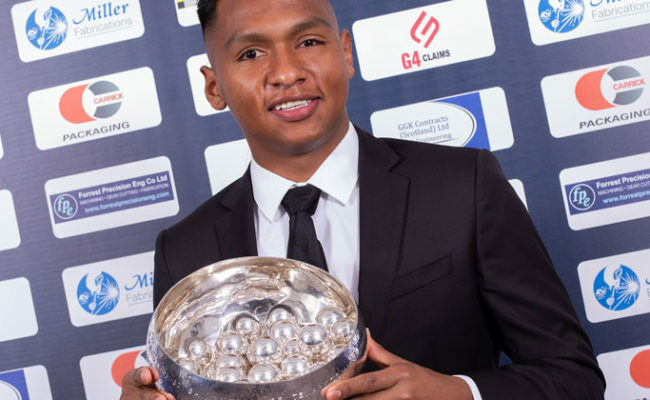 In what was an enthralling encounter at Pittodrie, Alfredo Morelos had his say by bagging a brace, the second of which is nominated this month. The build-up was excellent, with Ryan Jack and Ryan Kent exchanging passes in the middle of the park before Kent slipped the ball to the Colombian on the edge of the 18-yard box. 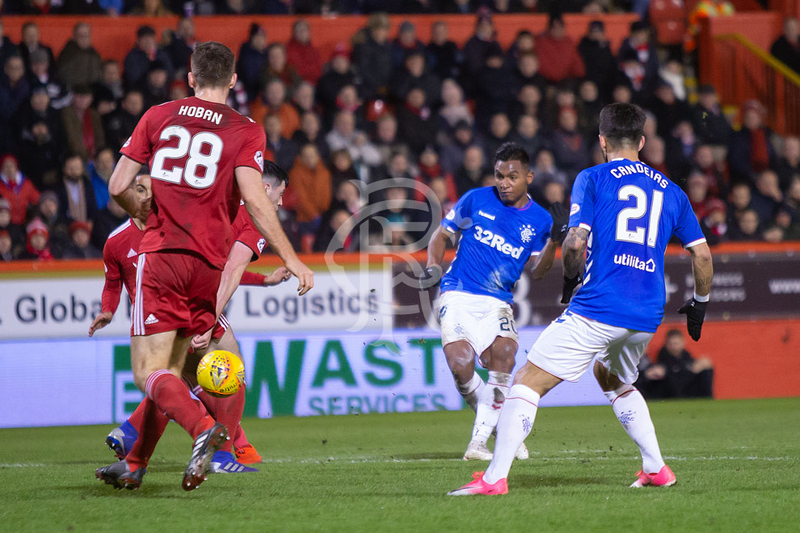 Morelos took one touch out of his feet and slotted the ball past Joe Lewis with his “weaker “ left foot to score his 23rd of the season. With the match against Aberdeen entering the final stages, Rangers were protecting a slender 1 goal advantage. Up stepped Jermain Defoe to put the result beyond any doubt. Defoe won a 50/50 challenge in his own half and Rangers then mounted a counter attack. 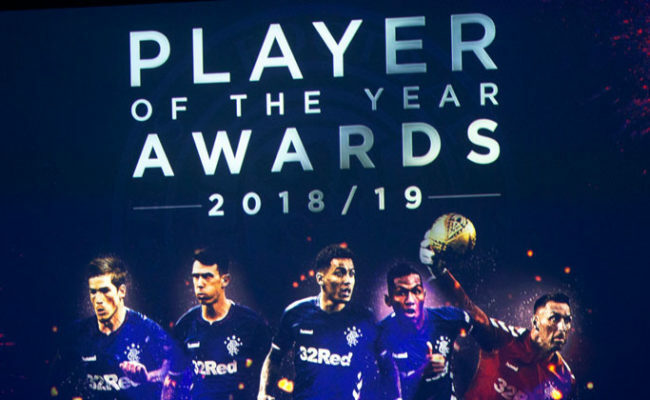 The ball made its way to James Tavernier who played on Defoe, who took an exquisite first touch away from the defender and rifled the ball into the corner to make it 4-2 and secure a vital 3 points for Rangers. 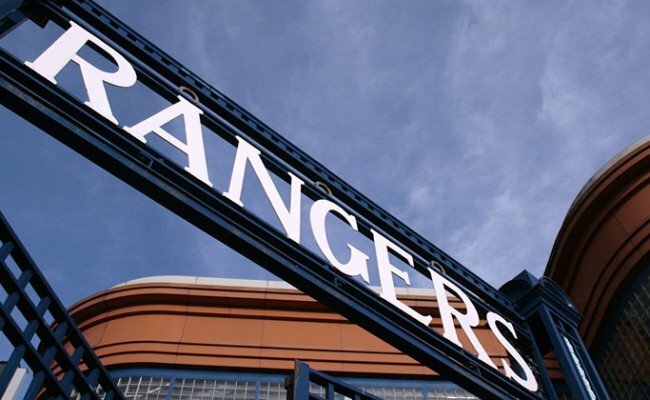 With his second goal on the list, Alfredo Morelos, grabbed his second hat trick of the season against Kilmarnock to send Rangers through to the quarter-finals of the Scottish Cup. Daniel Candeias worked tirelessly to win the ball back in the Kilmarnock half and then played a brilliant through ball into the path of Morelos who bagged his hat trick in style with a powerful finish passed Bachmann in the Kilmarnock goal. The final nominee is Scott Arfield’s strike from the 5-0 victory over Hamilton. 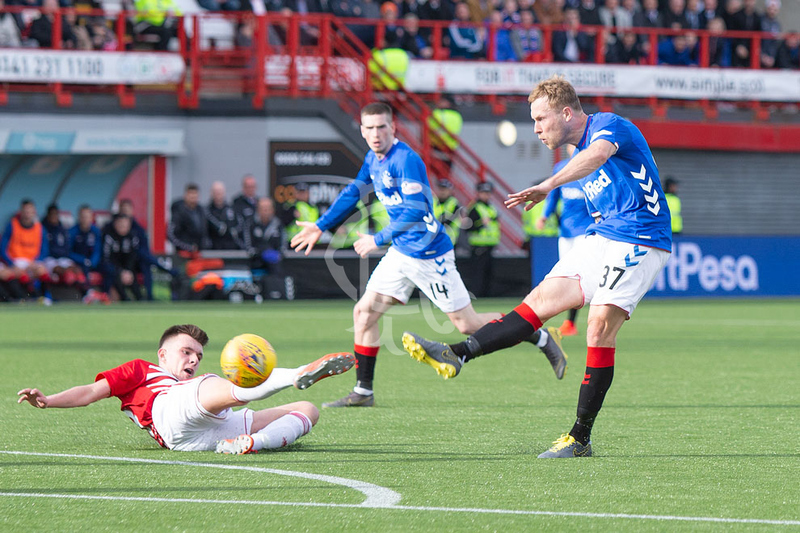 Andy Halliday picked up the ball deep inside the Hamilton half, capitalising on a defensive error, and fed Scott Arfield, who from 25 yards unleashed an unstoppable drive into the top right hand corner, leaving keeper Woods helpless and picking up his 7th goal in what has been an impressive debut season from the Canadian internationalist. Voting closes at 11.59 on Monday 4 March and the winning fan will be contacted by 5pm on Tuesday 5 March.